I always get inspiration for new meal ideas when I eat with friends or see meals posted on blogs or food Instagram accounts. 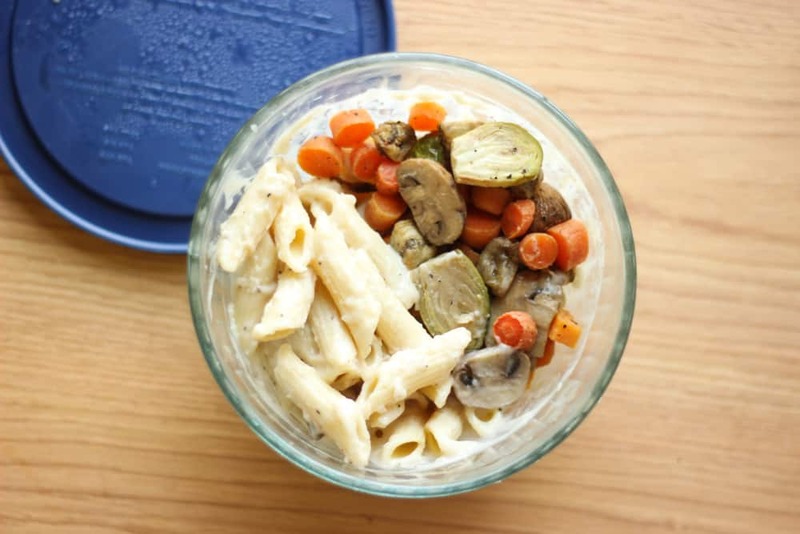 I think it’s especially helpful for me to see what other college girls/single people are eating since I’m not at a point in my life where I’m going to be making big casseroles for dinner! I had the idea to do a post of a full week of dorm room meals to give you all a better picture of the types of things I eat on a regular basis, and what’s possible and not-so-possible for me to make in a dorm kitchen. After almost three full years of dorm cooking with no meal plan, I feel like I’ve figured out a way to eat foods I love without spending too much money, spending too much time cooking, or going to the grocery store more than once per week. I rotate through the same few breakfast options each week and somehow, I don’t get tired of them. 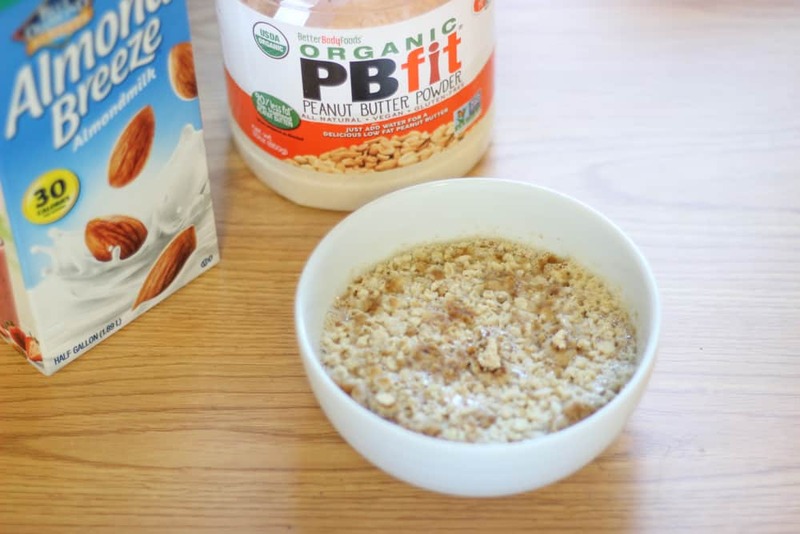 I work out or run in the mornings, and I usually don’t like eating a giant breakfast afterward– just something with some protein that’ll hold me over till lunch. The thickest and creamiest yogurt ever. The 0% or 4% vanilla and the 4% mango are my favorite flavors. Siggi’s is super low in sugar and awesome when I’m in a rush to get out the door for class. I can’t get enough of this meal! I had it for breakfast twice, plus a much bigger bowl once for dinner. It’s super filling and dense without being heavy, so it’s great on mornings when I’m more hungry than usual. In every semester before this one, I’ve packed a lunch every day so I could eat while I was out & about, and I’d usually schedule “lunch dates” with friends. This semester, my schedule is all over the place and it has me eating lunch at 3:30 a couple of days per week. On those days, leftovers are a lifesaver. I roasted a big pan of vegetables on Monday night, so I had roasted veggies as sides for a lot of my meals this week. I packed this meal up to meet a friend for lunch one day and heated up it up while I was out. 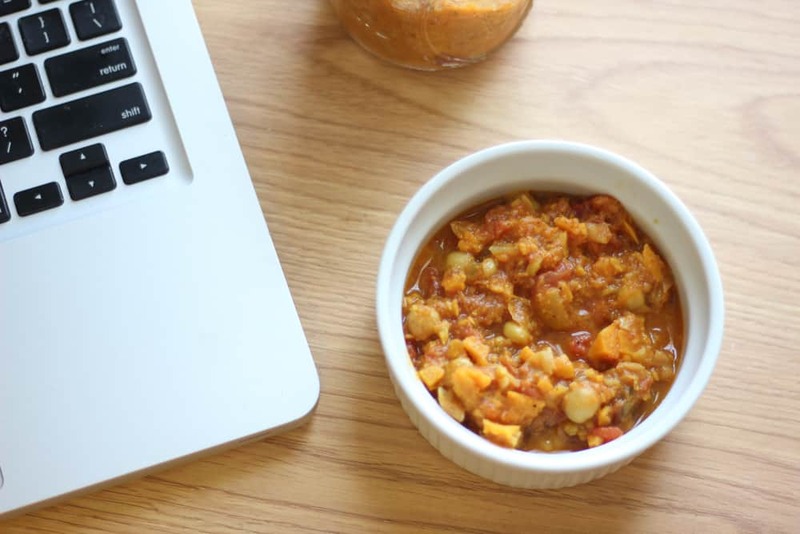 I froze leftovers from my last batch of sweet potato chickpea stew in mason jars. And the rest of my lunches this week were leftovers from dinner. I love leftovers, both for the convenience and the taste, although I know some people aren’t fans. I never leave for the day without at least one or two snacks in my bag. 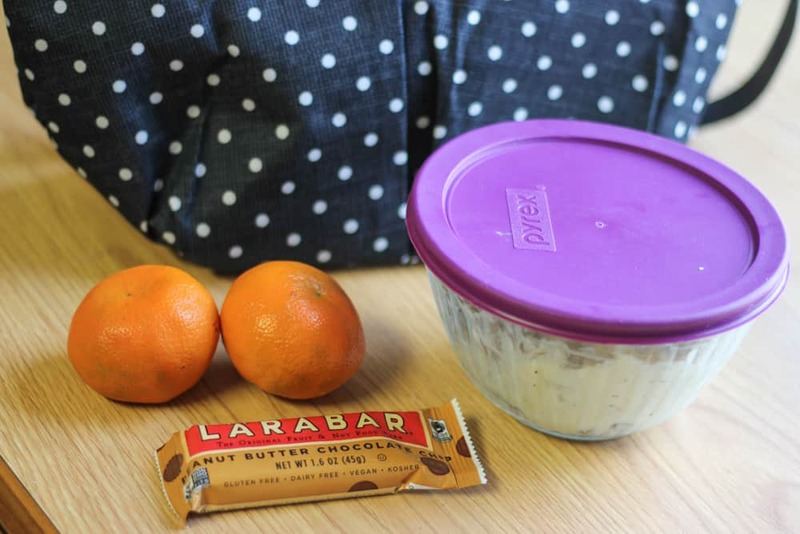 My current favorites are peanut butter chocolate chip Larabars, homemade peanut butter chocolate chip energy bites, clementines, and apples. I went out for dinner twice last week, which is about average. One time was a Chipotle dinner date with my freshman roommate, and the other time was a 21st birthday celebration at a local spot called Carburritos. 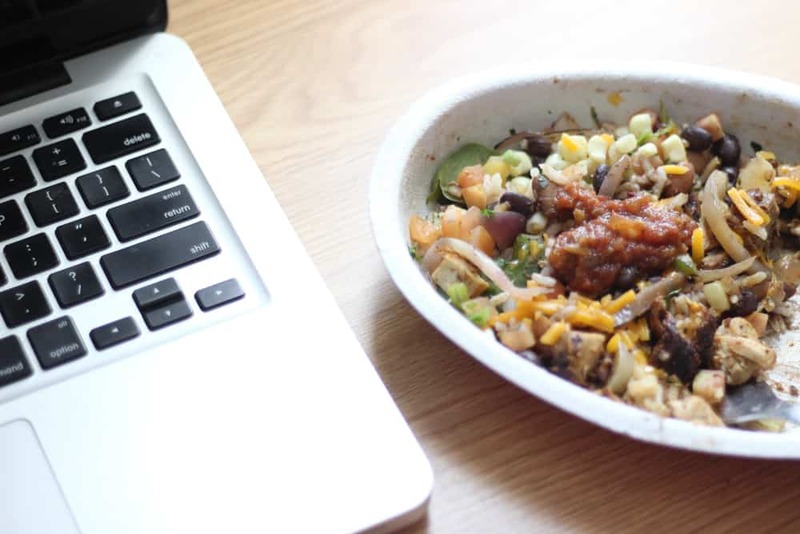 I got a sweet potato and black bean rice bowl at Carburritos which was so good– I would’ve snapped a picture but the thought didn’t even cross my mind when I was there. I had leftovers from both nights. 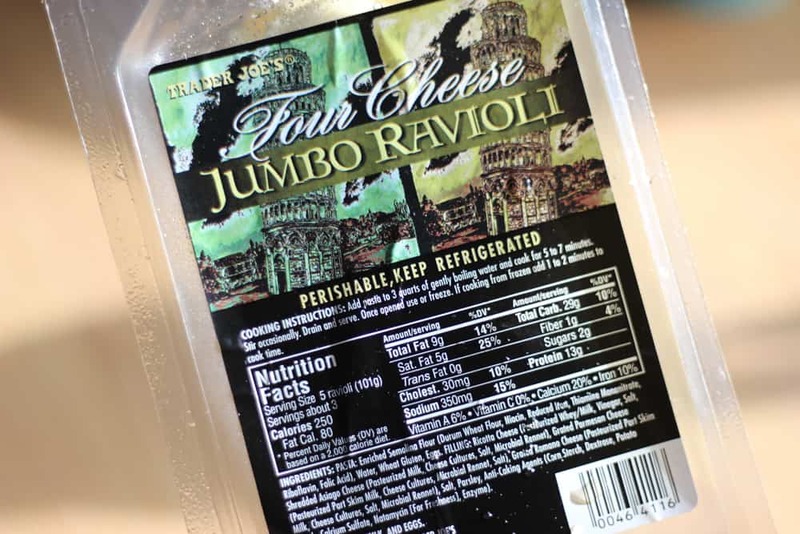 I used Trader Joe’s four-cheese blend in the sauce and that sauce, with the four cheese ravioli, was heavenly. The pictures don’t do it justice, but if I could repeat this meal right this second, I absolutely would. I had leftover sauce, so I cooked up some organic penne that I had in my “pantry” and finished it off for lunch the next day. 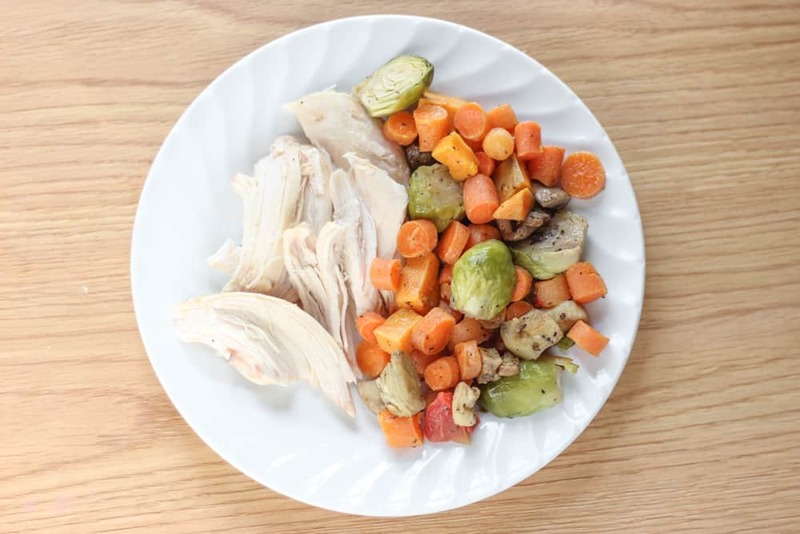 I picked up a rotisserie chicken from Whole Foods one day, which I ate with roasted veggies on the night I bought it. 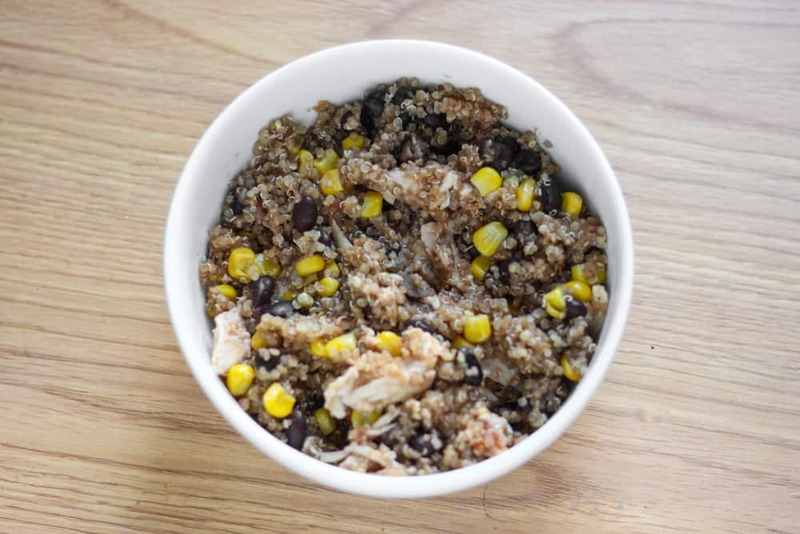 On then the next night, I wasn’t in the mood for plain chicken, so in about 20 minutes, I whipped up a batch of this quick Mexican quinoa. It made enough for four meals (three for me + one I shared with a friend). I added the rest of the shredded rotisserie chicken, which was a yummy addition. On the other nights, I made omelets, had sweet potato bowls, or pulled leftovers out of the freezer. My two weaknesses are dark chocolate peanut butter cups and ice cream. I typically have one of those probably two to three nights per week after dinner. 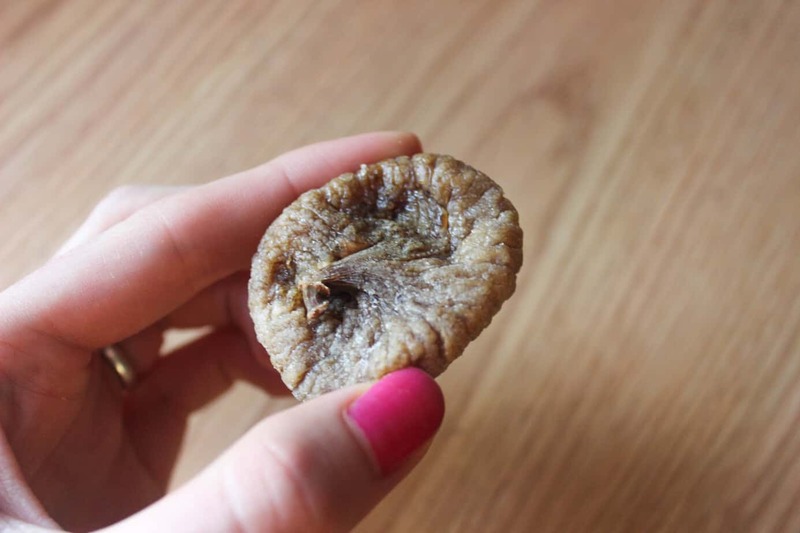 Other nights, I go for dried figs/fresh fruit as a healthier option. I was recovering from the stomach flu this week and my sweet tooth was really off, so for some reason I wasn’t craving dessert as much as usual. 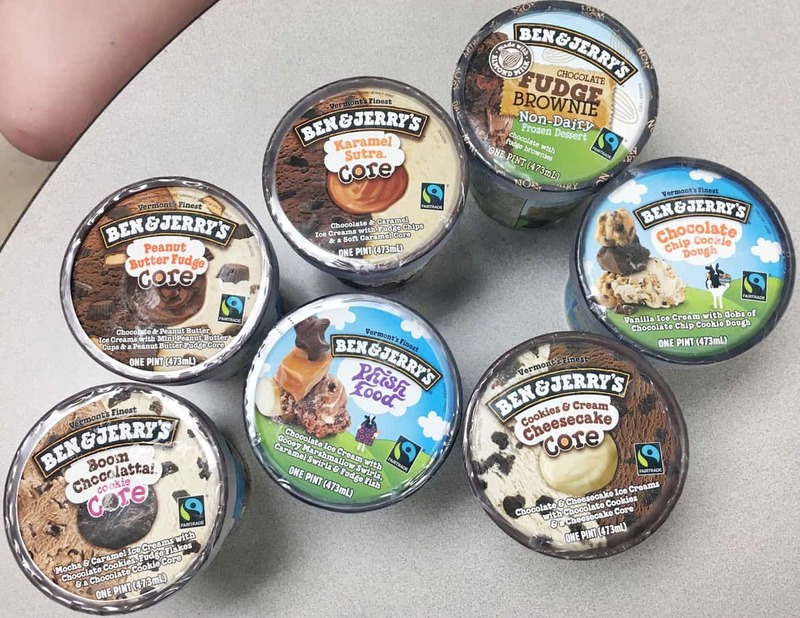 BUT, I hosted a “Pint Night” program for my residents near the end of the week, and I definitely indulged in some Ben & Jerry’s. I plan this program at the end of each semester before finals, which means this is the fourth one I’ve done! These were only some of the flavors, and I think my residents and I each tried a bite of just about all of them. The chocolate fudge brownie non-dairy almond milk ice cream was surprisingly SO good and rivaled all of the dairy flavors. Ben & Jerry’s has (almost) never let me down. My favorites of these were the Boom Chocolatta Cookie Core, the Peanut Butter Fudge Core, the Chocolate Fudge Brownie, and the Cookies & Cream Cheesecake Core. Mmm. And that’s a full week of eats for this week! In general, I really enjoy the food I eat and I try to eat in a way that makes me feel good. If I could change one thing, though, I’d incorporate more fresh vegetables into my diet. For example, steamed broccoli is one of my favorite foods ever, but I rarely take the time to make it at school just because the hassle of cooking it in the dorm kitchen just doesn’t seem worth it since it’s just a side for one meal for one person. 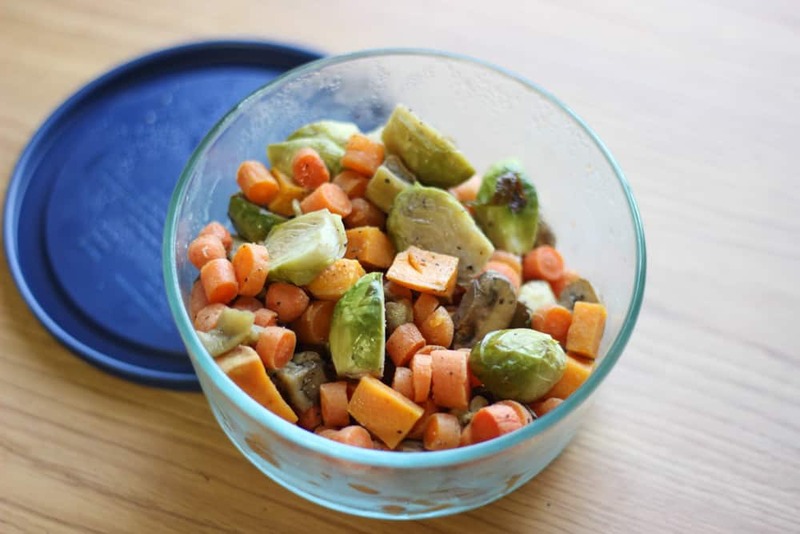 I’ve found that buying a ton of fresh veggies at once also doesn’t work well for me since they go bad pretty quickly in a mini fridge and my schedule changes pretty frequently, which affects when I have time to cook. I avoid wasting food at all costs, and a stressor I don’t want to have is worrying about when I’ll have time to steam some broccoli. Sounds ridiculous, right? So one day, I hope to eat more veggies, especially since I really love them. But these days, as a college girl, I’ll just eat ’em when I can! 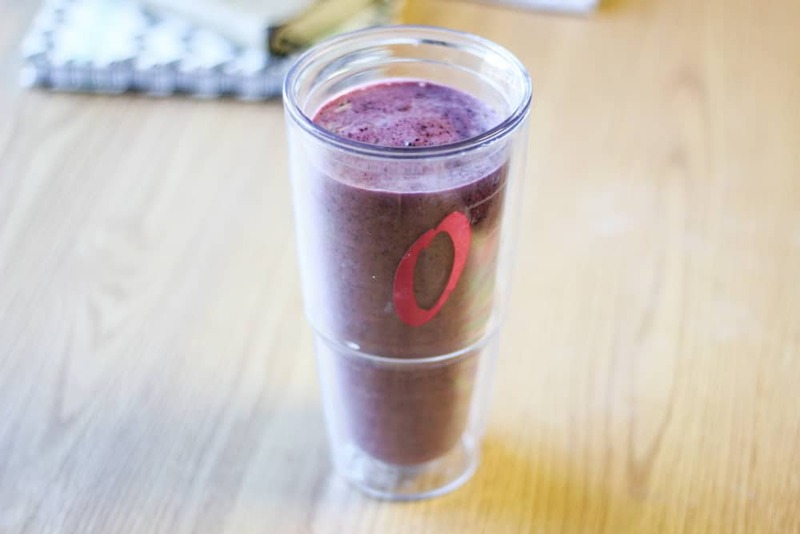 Do you repeat the same breakfasts every week? Leftover lover: yes or no? Favorite Ben & Jerry’s flavor? Have you tried any of their non-dairy flavors? I go through breakfast phases, but at any given time I only have about two or three “usuals” in my breakfast rotation. In the summer, it’s often smoothie bowls and breakfast snack plates. 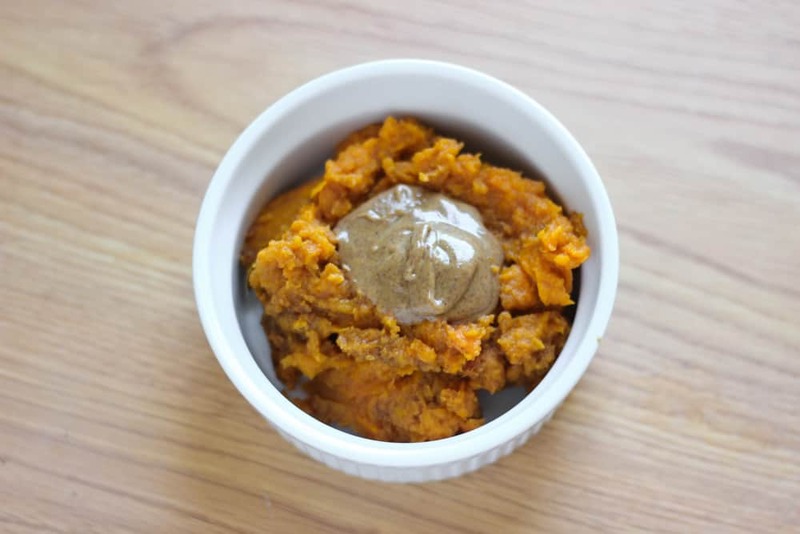 Other times, it’s hashes and Paleo “oatmeal”. College has turned me into a leftover lover. As much as I adore cooking, I just haven’t been feeling it lately, and leftovers are a lifesaver. Hmm. B&J Half Baked, Milk & Cookies, and Chocolate Fudge Brownie are my classic faves. And they have a new one – Oat of This Swirled – that’s amazing. Ooh yes, love all Half Baked and Milk & Cookies, too! I’ve heard about Oat of this World (I get Ben & Jerry’s emails hahaha) but haven’t tried it yet. Sounds incredible! love the non-dairy flavors. So good! Oatmeal is a staple for me at school. 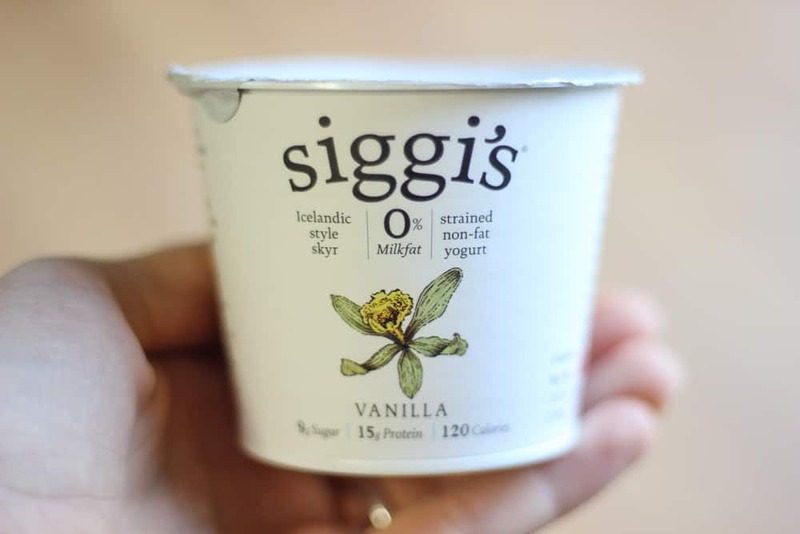 Same with Siggi’s! And I always have at least 1 jar of peanut butter in my room. 🙂 happy monday girly! If we were roommates, I bet we’d rock at sharing food because we love so many of the same things! As somebody who has never lived in a dorm room – it’s not as popular over here – I’m always impressed with what those of you living in one come up with. 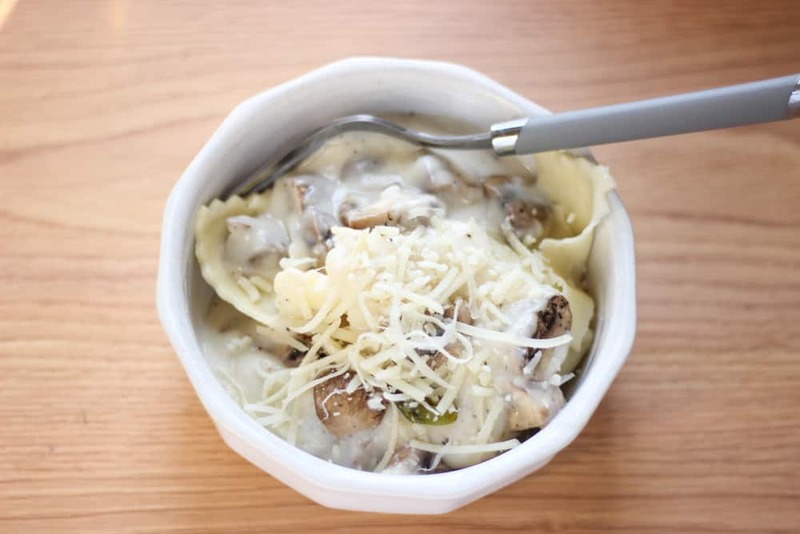 I don’t know what dorm kitchens look like for you but from the impression I got when cooking in a friend – who was living in a dorm for a few semesters – they can be a little chaotic. So I see how tricky it might be but you really did an amazing job creating some delicious meals I’d happily snag some of. Also, four-cheese ravioli in four-cheese sauce sound divine and I bet you’re the residents’ favourite for hosting Pint Nights – and generally being a sweet person. You’re so sweet!! And you’re absolutely right, the dorm kitchen is small and can be a bit chaotic if more than one person is trying to cook at once, yikes! I LOVE leftovers; they are some of my favorite ways to eat lunch. 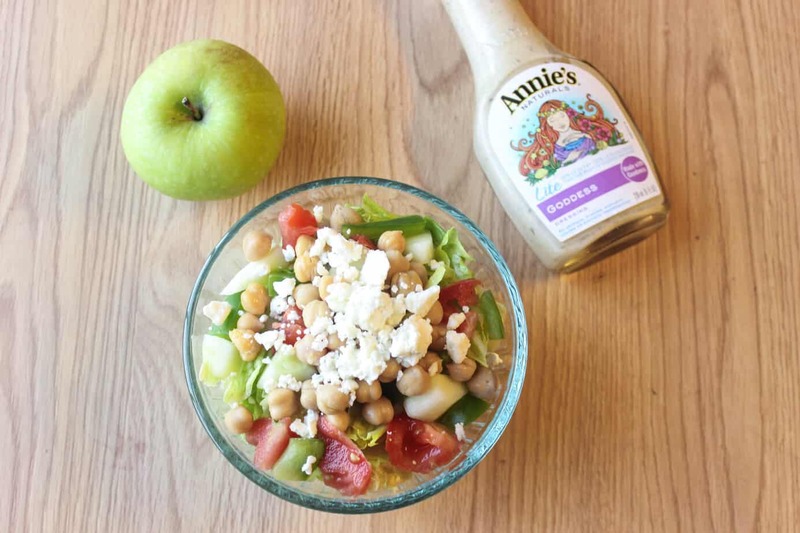 It makes lunch a lot less complicated to have leftovers. I’m definitely a ‘same breakfast’ gal, but I love to have variation when it comes to baked goods or dinners. What’s your favorite meal to vary? I don’t mind eating the same lunches and breakfasts, but like you, I definitely like to switch up my dinners a bit more. I think that’s because growing up, I always rotated through the same lunches & breakfasts but my mom made different dinners, so that’s what I’m used to! A Cookie. In a mug. For BREAKFAST?! Whole ingredients like peanut butter, bananas, and oats serve as the base for this single-serving breakfast cookie. Our mouths are watering, and our minds are blown. Hahaha “Picking a favorite B&J flavor is like picking a favorite child.” Love it! Yum! All of these meals look so good! I’m guessing you must have access to an oven in your dorm? That would make things so much easier! You sound like the best RA ever – hosting a pint night? My college eats looked nothing like this – had I known what I know now…looks like you have it down to a T! Haha thank you, Sarah! After 3 years, I feel like I’ve found a good (& most importantly, quick!) grocery shopping & cooking rhythm for college!